Radio observations are illuminating what happened during recent gravitational-wave event. Millions of years ago, a pair of extremely dense stars, called neutron stars, collided in a violent smash-up that shook space and time. On August 17, 2017, both gravitational waves—ripples in space and time—and light waves emitted during that neutron star merger finally reached Earth. The gravitational waves came first and were detected by the twin detectors of the National Science Foundation (NSF)-funded Laser Interferometry Gravitational-wave Observatory (LIGO), aided by the European Virgo observatory. The light waves were observed seconds, days, and months later by dozens of telescopes on the ground and in space. 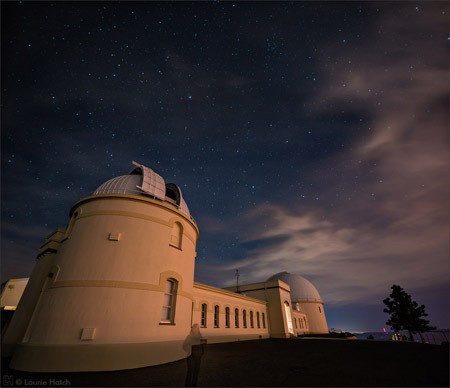 The findings, made with the Karl G. Jansky Very Large Array in New Mexico, the Australia Telescope Compact Array, and the Giant Metrewave Radio Telescope in India, are reported in a new paper in the December 20 online issue of the journal Nature. The lead author is Kunal Mooley (PhD ’15), formerly of the University of Oxford and now a Jansky Fellow at Caltech. A hydrodynamical simulation shows a cocoon breaking out of the neutron star merger. This model explains the gamma-ray, X-ray, ultraviolet, optical, infrared, and radio data gathered by the GROWTH team from 18 telescopes around the world. Credit: Ehud Nakar (Tel Aviv), Ore Gottlieb (Tel Aviv), Leo Singer (NASA), Mansi Kasliwal (Caltech), and the GROWTH collaboration. On August 17, NASA’s Fermi Gamma-ray Space Telescope and the European INTErnational Gamma-Ray Astrophysics Laboratory (INTEGRAL) missions detected gamma rays just seconds after the neutron stars merged. The gamma rays were much weaker than what is expected for sGRBS, so the researchers reasoned that a fast and narrowly focused jet was produced but must have been pointed slightly askew from the direction of Earth, or off-axis. The possibility that a cocoon was involved in the August 17 event was originally proposed in a study led by Caltech’s Mansi Kasliwal (MS ’07, PhD ’11), assistant professor of astronomy, and colleagues. She and her team from the NSF-funded Global Relay of Observatories Watching Transients Happen (GROWTH) project observed the event at multiple wavelengths using many different telescopes. Work at Caltech on this study was funded by the NSF, the Sloan Research Foundation, and Research Corporation for Science Advancement. Other Caltech authors are Kishalay De, a graduate student, and Shri Kulkarni, George Ellery Hale Professor of Astronomy and Planetary Science. These days the LIGO experiment seems almost unstoppable. In September 2015, LIGO detected gravitational waves directly for the first time in history. Afterward, they spotted them three times more, definitively blowing open the doors on the new field of gravitational-wave astronomy. On October 3, the Nobel Committee awarded their 2017 prize in physics to some of the main engines behind the experiment. Just two weeks after that, LIGO scientists revealed that they’d seen, for the first time, gravitational waves from the collision of neutron stars, an event confirmed by optical telescopes—yet another first. These recent achievements weren’t inevitable. It took LIGO scientists decades to get to this point. 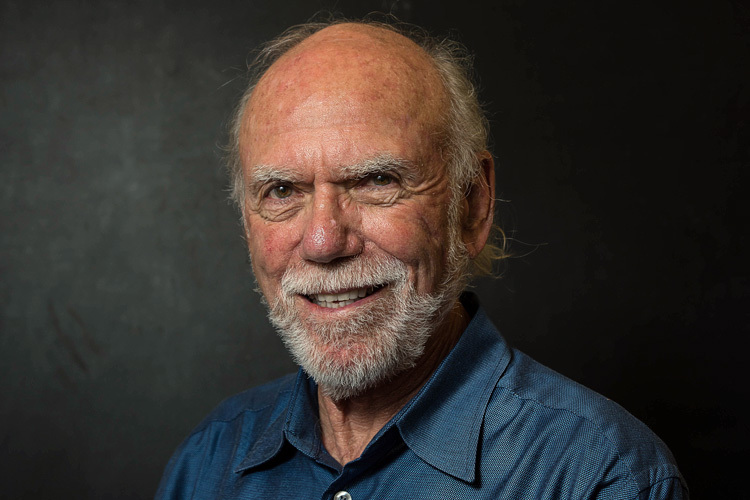 LIGO leader Barry Barish, one of the three recipients of the 2017 Nobel, recently sat down with Symmetry writer Leah Hesla to give a behind-the-scenes look at his 22 years on the experiment. What has been your role at LIGO? I started in 1994 and came on board at a time when we didn’t have the money. I had to get the money and have a strategy that [the National Science Foundation] would buy into, and I had to have a plan that they would keep supporting for 22 years. My main mission was to build this instrument—which we didn’t know how to make—well enough to do what it did. So we had to build enough trust and success without discovering gravitational waves so that NSF would keep supporting us. And we had to have the flexibility to evolve LIGO’s design, without costing an arm and a leg, to make the improvements that would eventually make it sensitive enough to succeed. We started running in about 2000 and took data and improved the experiment over 10 years. But we just weren’t sensitive enough. We managed to get a major improvement program to what’s called Advanced LIGO from the National Science Foundation. After a year and a half or so of making it work, we turned on the device in September of 2015 and, within days, we’d made the detection. What steps did LIGO take to be as sensitive as possible? We were limited very much by the shaking of the Earth—at the low frequencies, the Earth just shakes too much. We also couldn’t get rid of the background noise at high frequencies—we can’t sample fast enough. In the initial LIGO, we reduced the shaking by something like 100 million. We had the fanciest set of shock absorbers possible. The shock absorbers in your car take a bump that you go over, which is high-frequency, and transfer it softly to low-frequency. You get just a little up and down; you don’t feel very much when you go over a bump. You can’t get rid of the bump—that’s energy—but you can transfer it out of the frequencies where it bothers you. So we do the same thing. We have a set of springs that are fancier but are basically like shock absorbers in your car. That gave us a factor of 100 million reduction in the shaking of the Earth. But that wasn’t good enough [for initial LIGO]. What did you do to increase sensitivity for Advanced LIGO? After 15 years of not being able to detect gravitational waves, we implemented what we call active seismic isolation, in addition to passive springs. It’s very much equivalent to what happens when you get on an airplane and you put those [noise cancellation] earphones on. All of a sudden the airplane is less noisy. That works by detecting the ambient noise—not the noise by the attendant dropping a glass or something. That’s a sharp noise, and you’d still hear that, or somebody talking to you, which is a loud independent noise. But the ambient noise of the motors and the shaking of the airplane itself are more or less the same now as they were a second ago, so if you measure the frequency of the ambient noise, you can cancel it. In Advanced LIGO, we do the same thing. We measure the shaking of the Earth, and then we cancel it with active sensors. The only difference is that our problem is much harder. We have to do this directionally. The Earth shakes in a particular direction—it might be up and down, it might be sideways or at an angle. It took us years to develop this active seismic isolation. The idea was there 15 years ago, but we had to do a lot of work to develop very, very sensitive active seismic isolation. The technology didn’t exist—we developed all that technology. It reduced the shaking of the Earth by another factor of 100 [over LIGO’s initial 100 million], so we reduced it by a factor of 10 billion. So we could see a factor of 100 further out in the universe than we could have otherwise. And each factor of 10 gets cubed because we’re looking at stars and galaxies [in three dimensions]. So when we improved [initial LIGO’s sensitivity] by a factor of 100 beyond this already phenomenal number of 100 million, it improved our sensitivity immediately, and our rate of seeing these kinds of events, by a factor of a hundred cubed—by a million. That’s why, after a few days of running, we saw something. We couldn’t have seen this in all the years that we ran at lower sensitivity. What key steps did you take when you came on board in 1994? First we had to build a kind of technical group that had the experience and abilities to take on a $100 million project. So I hired a lot of people. It was a good time to do that because it was soon after the closure of the Superconducting Super Collider in Texas. I knew some of the most talented people who were involved in that, so I brought them into LIGO, including the person who would be the project manager. Second, I made sure the infrastructure was scaled to a stage where we were doing it not the cheapest we could, but rather the most flexible. The third thing was to convince NSF that doing this construction project wasn’t the end of what we had to do in terms of development. So we put together a vigorous R&D program, which NSF supported, to develop the technology that would follow similar ones that we used. And then there were some technical changes—to become as forward-looking as possible in terms of what we might need later. What were the technical changes? The first was to change from what was the most popularly used laser in the 1990s, which was a gas laser, to a solid-state laser, which was new at that time. The solid-state laser had the difficulty that the light was no longer in the visible range. It was in the infrared, and people weren’t used to interferometers like that. They like to have light bouncing around that they can see, but you can’t see the solid-state laser light with your naked eye. That’s like particle physics. You can’t see the particles in the accelerator either. We use sensors to do that. So we made that kind of change, going from analog controls to digital controls, which are computer-based. We also inherited the kind of control programs that had been developed for accelerators and used at the Superconducting Super Collider, and we brought the SSC controls people into LIGO. These changes didn’t pay off immediately, but paved the road toward making a device that could be modern and not outdated as we moved through the 20 years. It wasn’t so much fixing things as making LIGO much more forward-looking—to make it more and more sensitive, which is the key thing for us. Did you draw on past experience? I think my history in particle physics was crucial in many ways, for example, in technical ways—things like digital controls, how we monitored beam. We don’t use the same technology, but the idea that you don’t have to see it physically to monitor it—those kinds of things carried over. 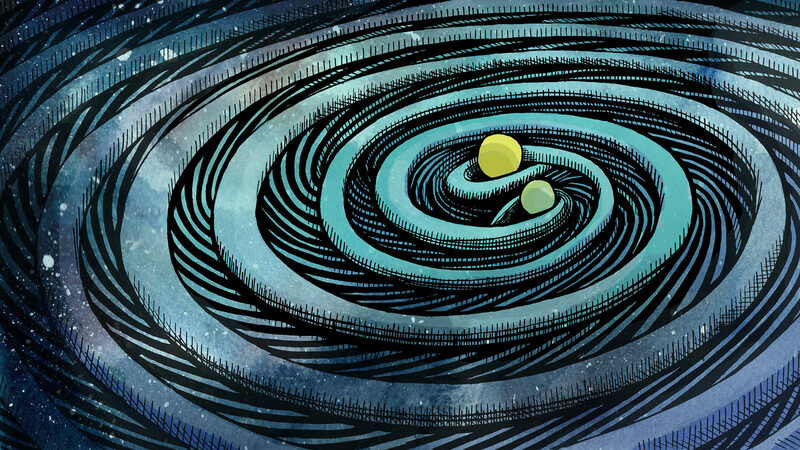 The organization, how we have scientific collaborations, was again something that I created here at LIGO, which was modeled after high-energy physics collaborations. Some of it has to be modified for this different kind of project—this is not an accelerator—but it has a lot of similarities because of the way you approach a large scientific project. Were you concerned the experiment wouldn’t happen? If not, what did concern you? As long as we kept making technical progress, I didn’t have that concern. My only real concern was nature. Would we be fortunate enough to see gravitational waves at the sensitivities we could get to? It wasn’t predicted totally. There were optimistic predictions—that we could have detected things earlier — but there are also predictions we haven’t gotten to. So my main concern was nature. When did you hear about the first detection of gravitational waves? If you see gravitational waves from some spectacular thing, you’d also like to be able to see something in telescopes and electromagnetic astronomy that’s correlated. So because of that, LIGO has an early alarm system that alerts you that there might be a gravitational wave event. We more or less have the ability to see spectacular things early. But if you want people to turn their telescopes or other devices to point at something in the sky, you have to tell them something in time scales of minutes or hours, not weeks or months. The day we saw this, which we saw early in its running, it happened at 4:50 in the morning in Louisiana, 2:50 in the morning in California, so I found out about it at breakfast time for me, which was about four hours later. When we alert the astronomers, we alert key people from LIGO as well. We get things like that all the time, but this looked a little more serious than others. After a few more hours that day, it became clear that this was nothing like anything we’d seen before, and in fact looked a lot like what we were looking for, and so I would say some people became convinced within hours. I wasn’t, but that’s my own conservatism: What’s either fooling us or how are we fooling ourselves? There were two main issues. One is the possibility that maybe somebody was inserting a rogue event in our data, some malicious way to try to fool us. We had to make sure we could trace the history of the events from the apparatus itself and make sure there was no possibility that somebody could do this. That took about a month of work. The second was that LIGO was a brand new, upgraded version, so I wasn’t sure that there weren’t new ways to generate things that would fool us. Although we had a lot of experience over a lot of years, it wasn’t really with this version of LIGO. This version was only a few days old. So it took us another month or so to convince us that it was real. It was obvious that there was going to be a classic discovery if it held up. What does it feel like to win the Nobel Prize? It happened at 3 in the morning here [in California]. [The night before], I had a nice dinner with my wife, and we went to bed early. I set the alarm for 2:40. They were supposed to announce the result at 2:45. I don’t know why I set it for 2:40, but I did. I moved the house phone into our bedroom. The alarm did go off at 2:40. There was no call, obviously—I hadn’t been awakened, so I assumed, kind of in my groggy state, that we must have been passed over. I started going to my laptop to see who was going to get it. Then my cell phone started ringing. My wife heard it. My cell phone number is not given out, generally. There are tens of people who have it, but how [the Nobel Foundation] got it, I’m not sure. Some colleague, I suppose. It was a surprise to me that it came on the cell phone. The president of the Nobel Foundation told me who he was, said he had good news and told me I won. And then we chatted for a few minutes, and he asked me how I felt. And I spontaneously said that I felt “thrilled and humbled at the same time.” There’s no word for that, exactly, but that mixture of feeling is what I had and still have. Do you have advice for others organizing big science projects? We have an opportunity. As I grew into this and as science grew big, we always had to push and push and push on technology, and we’ve certainly done that on LIGO. We do that in particle physics, we do that in accelerators. I think the table has turned somewhat and that the technology has grown so fast in the recent decades that there’s incredible opportunities to do new science. The development of new technologies gives us so much ability to ask difficult scientific questions. We’re in an era that I think is going to propagate fantastically into the future. Just in the new millennium, maybe the three most important discoveries in physics have all been done with, I would say, high-tech, modern, large-scale devices: the neutrino experiments at SNO and Kamiokande doing the neutrino oscillations, which won a Nobel Prize in 2013; the Higgs boson—no device is more complicated or bigger or more technically advanced than the CERN LHC experiments; and then ours, which is not quite the scale of the LHC, but it’s the same scale as these experiments—the billion dollar scale—and it’s very high-tech. Einstein thought that gravitational waves could never be detected, but he didn’t know about lasers, digital controls and active seismic isolation and all things that we developed, all the high-tech things that are coming from industry and our pushing them a little bit harder. The fact is, technology is changing so fast. Most of us can’t live without GPS, and 10 or 15 years ago, we didn’t have GPS. GPS exists because of general relativity, which is what I do. The inner silicon microstrip detectors in the CERN experiment were developed originally for particle physics. They developed rapidly. But now, they’re way behind what’s being done in industry in the same area. Our challenge is to learn how to grab what is being developed, because technology is becoming great. I think we need to become really aware and understand the developments of technology and how to apply those to the most basic physics questions that we have and do it in a forward-looking way. What are your hopes for the future of LIGO? It’s fantastic. For LIGO itself, we’re not limited by anything in nature. We’re limited by ourselves in terms of improving it over the next 15 years, just like we improved in going from initial LIGO to Advanced LIGO. We’re not at the limit. So we can look forward to certainly a factor of 2 to 3 improvement, which we’ve already been funded for and are ready for, and that will happen over the next few years. And that factor of 2 or 3 gets cubed in our case. This represents a completely new way to look at the universe. Everything we look at was with electromagnetic radiation, and a little bit with neutrinos, until we came along. We know that only a few percent of what’s out there is luminous, and so we are opening a new age of astronomy, really. At the same time, we’re able to test Einstein’s theories of general relativity in its most important way, which is by looking where the fields are the strongest, around black holes. 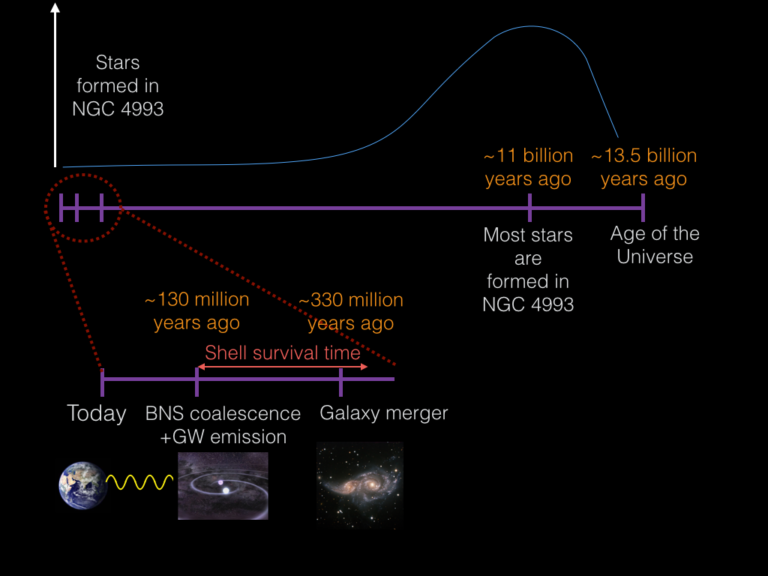 That’s the opportunity that exists over a long time scale with gravitational waves. The fact that they’re a totally different way of looking at the sky means that in the long term it will develop into an important part of how we understand our universe and where we came from. Gravitational waves are the best way possible, in theory—we can’t do it now—of going back to the very beginning, the Big Bang, because they weren’t absorbed. What we know now comes from photons, but they can go back to only 300,000 years from the Big Bang because they’re absorbed. We can go back to the beginning. We don’t know how to do it yet, but that is the potential. This computer simulation shows the collision of two black holes, which produces gravitational waves. Credit: Cornell SXS, the Simulating eXtreme Spacetimes (SXS) project. One of the most spectacular achievements in physics so far this century has been the observation of gravitational waves, ripples in space-time that result from masses accelerating in space. So far, there have been five detections of gravitational waves, thanks to the Laser Interferometer Gravitational-Wave Observatory (LIGO) and, more recently, the European Virgo gravitational-wave detector. Using these facilities, scientists have been able to pin down the extremely subtle signals from relatively small black holes and, as of October, neutron stars. Every October, the announcements of the Nobel Prizes bring with them some controversy. This year’s physics prize — in recognition of the Laser Interferometer Gravitational-Wave Observatory (LIGO) in the United States — was less debated than most. The three winners — Kip Thorne and Barry Barish, both at the California Institute of Technology (Caltech) in Pasadena, and Rainer Weiss at the Massachusetts Institute of Technology (MIT) in Cambridge — had attracted near-universal praise for their roles in the project’s success. But the award has still put into stark relief the difficulty of singling out just a few individuals from the large collaborations of today’s ‘Big Science’. The LIGO collaboration uses two giant laser interferometers to listen for deformations in space-time caused by some of the Universe’s most cataclysmic events. Physicists detected their first gravitational waves — interpreted as being produced by the collision of two black holes more than a billion years ago — in September 2015. The resulting paper, published in February 20161, has a mind-boggling 1,004 authors. Some of those are members of the LIGO Laboratory, the Caltech–MIT consortium that manages LIGO’s two interferometers in Louisiana and Washington State. But the list also includes the larger LIGO Scientific Collaboration: researchers from 18 countries, some of which — such as Germany and the United Kingdom — have made crucial contributions to the detectors. Yet more authors are from LIGO’s sister Virgo Collaboration, led by France and Italy, which built the Virgo interferometer near Pisa, Italy. The two experiments pool their data and analyse them together. Countless other people not named on the paper have also been involved in LIGO’s design, development, construction and operation since Weiss first detailed how to build a laser interferometer in 1972. To honour the many unsung heroes of gravitational waves, Nature collected testimonials about just a few of them. Like the Nobel Prize, this list is inevitably very incomplete. Researchers using two detectors in the United States shook the world when they announced their discovery of gravitational waves. The year was 1969, and the detectors were not LIGO but tonne-sized cylinders of aluminium built by Joseph Weber, a physicist at the University of Maryland in College Park. His claim was later found to be invalid, but many physicists still credit Weber for having founded the field. “Joe Weber indeed started thinking about how to detect gravitational waves in about 1957,” Virginia Trimble, an astrophysicist and Weber’s widow, told Nature in an e-mail. At that time, many researchers were not even sure that gravitational waves existed. In the 1960s, Weber was also one of the first researchers to consider the possibility of using interferometers to detect them. The founder of Germany’s side of LIGO, Heinz Billing, a physicist at the Max Planck Institute for Astrophysics near Munich, first heard of Weiss’s pioneering interferometer designs in 1975, when he was asked to review Weiss’s request to the National Science Foundation to fund a prototype at MIT. Billing and his team liked it so much that they started building one themselves. “The Munich group quickly invented some of the most important ingredients that made the detectors possible,” says Karsten Danzmann, a director at the Max Planck Institute for Gravitational Physics in Hanover, Germany. Billing, in particular, came up with an idea to stabilize the laser that was later used in the UK–German GEO600 interferometer based near Hanover — and in LIGO itself. GEO600 is still a crucial testing and development centre for technologies introduced in the successive rounds of LIGO upgrades. “There is an awful lot of GEO in LIGO,” says Danzmann. Billing, who died on 4 January at the age of 102, was also a pioneer in magnetic data storage. The 1980s were years of intense research and development for gravitational-wave detectors. Alain Brillet, an optical physicist with extensive experience in interferometers, then at the University of Paris-Sud in Orsay, France, saw an opportunity to contribute. “I decided to start with the optical part, the lasers and optics, because that was my specialty,” he says. Brillet went on to co-found Virgo. But many of his ideas — in particular, the type of laser that would give the most stable signal — were implemented in LIGO and other interferometers as well, says MIT physicist David Shoemaker, who studied with Brillet in Orsay and is now LIGO’s spokesperson. Gravitational theorist Richard Isaacson went to Washington DC to work at the National Science Foundation (NSF) in 1973 for what he thought would be a brief stint as one of the programme directors. During the handover, his predecessor advised him to pay attention to an “interesting guy” called Rainer Weiss. Isaacson secured Weiss a small grant for his 1975 prototype, and later became LIGO’s chief advocate inside government. He was instrumental in the project’s winning hundreds of millions of dollars in funding, despite the uncertain prospect of success. It was the first time that the NSF had managed a large project: US facilities such as particle accelerators were traditionally the remit of the Department of Energy, which had field offices staffed with dozens of experts. Isaacson did it by himself for more than ten years, and by the early 1990s he had paid a high personal cost. “Eventually, my health broke and my marriage went bad,” says Isaacson. By the time he retired in 2001, the construction of LIGO had been completed. Before Barry Barish took the reins of LIGO, another director had left his mark on the collaboration: Rochus Vogt. The Caltech physicist, a veteran of the NASA Voyager mission, was put in charge in 1987. Until then, the project had been led by the ‘troika’ of visionary founders — Thorne, Weiss, and the physicist Ronald Drever, who started UK research on gravitational waves at the University of Glasgow before moving to Caltech — but managing large organizations was not their strength. “Thank God that was done,” Weiss recalled in a talk at NSF headquarters last year. “You don’t manage it with three guys who are sort of a little bit flaky.” Vogt, who was once described as a taller and leaner Henry Kissinger, had a booming voice and forceful style that did not please everyone. But he was able to put together the first major request for NSF funding and, Thorne recalled in a 5 October press conference, “laid the foundations for moving LIGO forward to our construction”. As Thorne realized early on, in the future field of gravitational-wave astronomy, it would not be enough to collect data; researchers would also need to know what signals to look for. But it is notoriously difficult to extract quantitative predictions from the equations of Einstein’s general relativity. 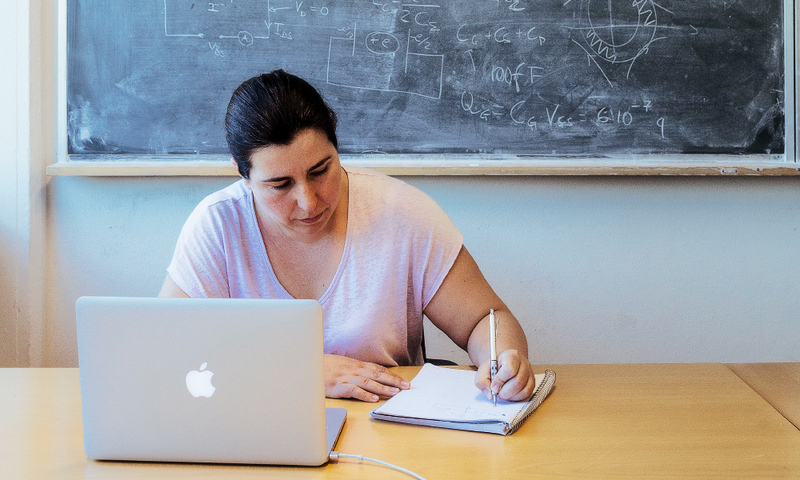 Theoretical physicist Alessandra Buonanno had devised formulae for calculating the approximate orbits of spiralling objects and the gravitational waves they would generate in work she had done, in part with her PhD adviser Thibault Damour, at the Institute of Advanced Scientific Studies near Paris. The LIGO and Virgo collaborations use a database of hundreds of thousands of these waveforms for spotting gravitational waves in their data in real time. 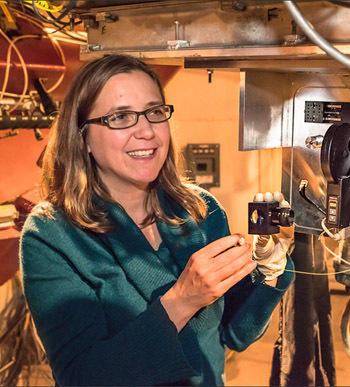 Buonanno is now a director at the Max Planck Institute for Gravitational Physics in Potsdam and a senior member of the LIGO Scientific Collaboration. Asimina Arvanitaki during a July visit to the CERN particle physics laboratory in Geneva, Switzerland. When physicists announced in February that they had detected gravitational waves firsthand, the foundations of physics scarcely rattled. 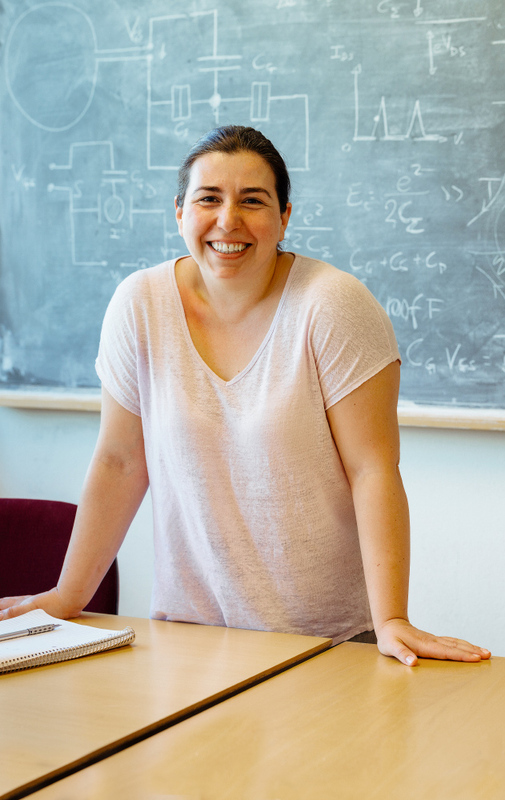 Arvanitaki has been dreaming up ways to use black holes to explore nature’s fundamental particles and forces since 2010, when she published a paper with Dimopoulos, her mentor from graduate school, and others. Together, they sketched out a “string axiverse,” a pantheon of as yet undiscovered, weakly interacting particles. Axions such as these have long been a favored candidate to explain dark matter and other mysteries. Advanced LIGO is a second-generation gravitational-wave detector consisting of the two identical interferometers in Hanford and Livingston, and uses precision laser interferometry to detect gravitational waves. Beginning operating in September 2015, Advanced LIGO has conducted two observing runs. The second “O2” observing run began on November 30, 2016 and ended on August 25, 2017.